If you have experienced any gum recession that has created an aesthetic and or sensitivity concern, a connective tissue graft may provide the best solution for root coverage. 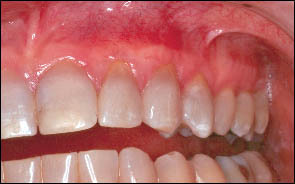 The procedure, which is done with local anesthetic, involves making a tiny incision on the roof of the mouth. Then a portion of connective tissue is carefully removed and secured to the area of root recession. 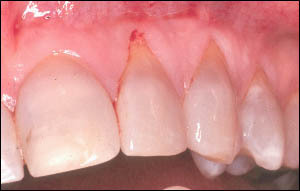 In that way a maximum blood supply can be maintained for the connective tissue to adhere to the previously exposed root surface. The following case illustrates the surgical potential for healing.